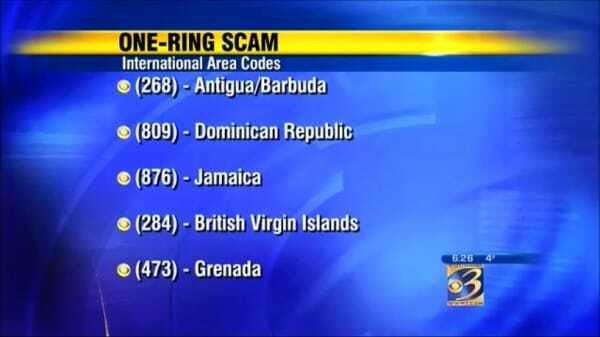 Other Police Warning: Never Answer Calls From These 5 Area Codes! Anyone who has a cell phone has probably experienced it at some point or another. Your phone starts ringing and you look down to see an unknown number on your caller ID. You take a few seconds to decide if you should answer it or not. That decision could either keep you safe or cause you to fall prey to a costly phone scam. Police are warning the public to keep an eye out for a dangerous phone scam. Those who fall for it may end up paying hundreds or even thousands of dollars. It’s known as the One-Ring Phone Scam. You’ve probably heard about phone scams before. They aren’t exactly a new idea, but criminals continue to use them to scam people into emptying their bank accounts. The One-Ring Phone Scam is simply the latest version of an old trick. Some scams involve criminals posing as IRS agents to get your financial information, but this new scam works a little differently. The goal of One-Ring is to trick people into making expensive international calls without knowing what they’re doing. The scammers can automatically connect the caller to an expensive phone line in which they pay per minute. After that, they might try to manipulate callers into giving them important financial information. Even if you think you would never fall for a phone scam, it can happen in an instant. Police are warning everyone to avoid calling back any unidentified numbers. 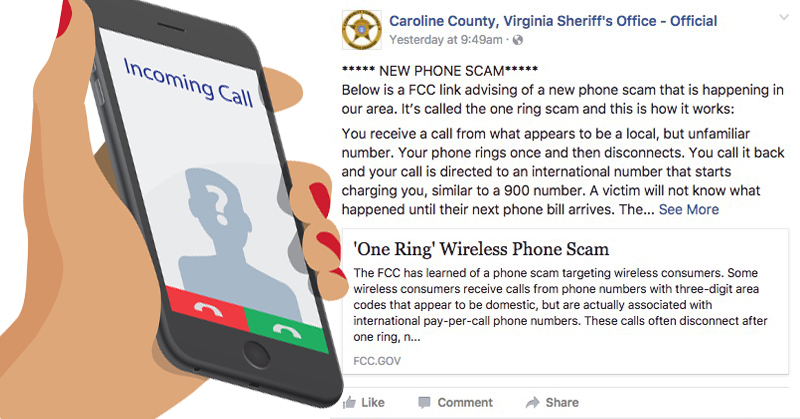 The Caroline County Sheriff’S Office in Virginia recently published an important warning to their Facebook page about the scam. They explained the scam and warned the public that the scammers work by calling victims using a phone number that looks like an ordinary domestic number. These numbers are actually foreign numbers that were carefully chosen to look like domestic numbers. If you’ve been scammed, contact the FCC to file a complaint. You may be able to tell your phone company as well. To protect yourself in the future, ignore all calls from area codes that you don’t recognize.